Autism affects an estimated 1.5 million children and adults in the United States. Parents and caretakers of autistic children worry about the safety of their autistic child. One of the biggest worries for parents and caretakers is what would happen if their child became lost. Would someone in authority recognize that their child is autistic and know what kind of special needs autistic children have? Adults who are personally living with autism also have concerns if they are in an accident or otherwise become unable to convey information about their special needs. There is a solution that will help ease the minds of parents, caretakers and adults living with autism. 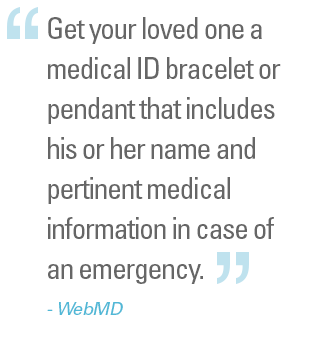 Autism identification bracelets contain medical information that is valuable in an emergency. Children living with autism often have delayed speech development. Some young children may not be able to speak at all. If an autistic child becomes lost and is not able to communicate, it becomes increasingly difficult for a parent or caretaker to locate the child. Autism ID bracelets that identify the child's condition and the fact that the child cannot talk will help an authority figure correctly handle assisting the child with locating his or her parent or guardian. Contact information can also be included on autism bracelets to help authority figures locate a child's parent or caretaker and their doctor if necessary. Autistic children may also have a medical emergency when a parent or caretaker is not present. If this happens, it is important for medical professionals to be aware of the child's autism and any special attributes that may otherwise be confused as symptoms of another medical condition. Autism jewelry will help a child avoid unnecessary tests or a misdiagnosis during a medical emergency. During a medical emergency, an adult with autism may be misdiagnosed based on some of these symptoms of autism. If medical professionals are not aware of the patient's autism, they may incorrectly assume that some of the above symptoms have to do with a medical condition caused by the medical emergency. An autism identification bracelet makes it easier for parents and caretakers to locate an autistic child in an emergency, and autism jewelry can help both children and adults living with autism avoid unnecessary tests and misdiagnoses in a medical emergency when time may be of the essence.